Happy Holidays from the LDW Team! The full, original version of Virtual Families from your desktop PC or Mac is now here on the iPad! 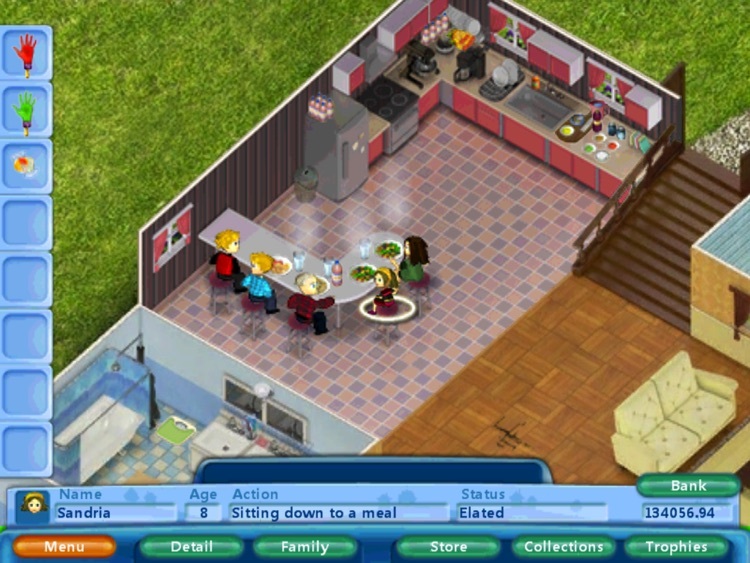 Note from the developer: Version 1.1.1 is the latest of several significant updates to Virtual Families that have greatly improved stability and playability. Sorry we have had a few bumps in the road, but these games have a HUGE amount of content, much more than most iPhone/iPad games, and it is challenging to get everything packed into these beautiful, tiny devices. -Arthur PS. to the reviewer below, yes it makes me giggle to have 2-year olds sound like an 82 year old man when they cough. 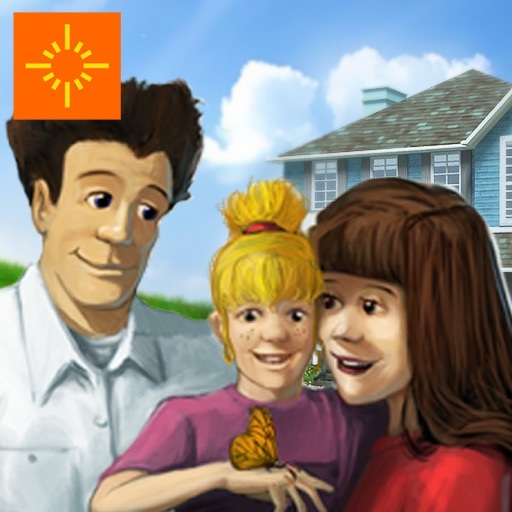 Virtual Families is a casual family sim that runs in true real time, and now this top-selling simulation game for iPhone and iPod touch is available for the iPad. 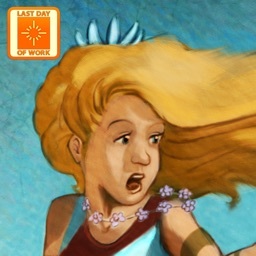 Adopt a little person from the thousands of choices of little people who live inside your iPad. Encourage them to work in their chosen career to earn money for necessities and luxuries, help them choose a suitable mate, start and raise a family, let them kick back with a variety of leisure activities, and take care of and improve their home. 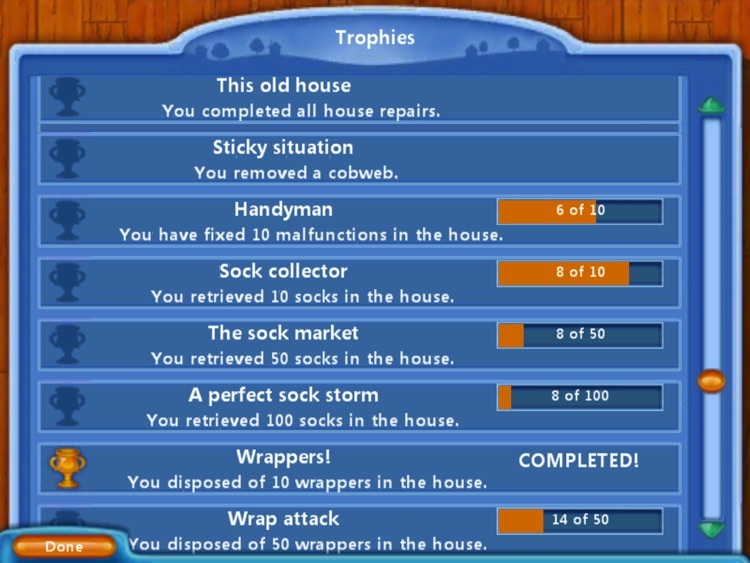 Along the way, there will be many different random events to respond to, house malfunctions to repair, and mini-puzzles to solve, all of them adding an unexpected element to the daily routine. This is the same sensational game that became a smash Windows and Mac hit! 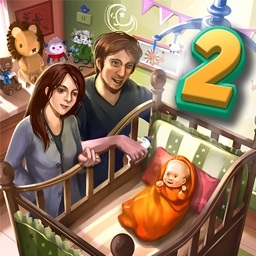 The game continues to progress in true real time, even when your iPad is turned off, so don’t forget to check in regularly to care for your little people. 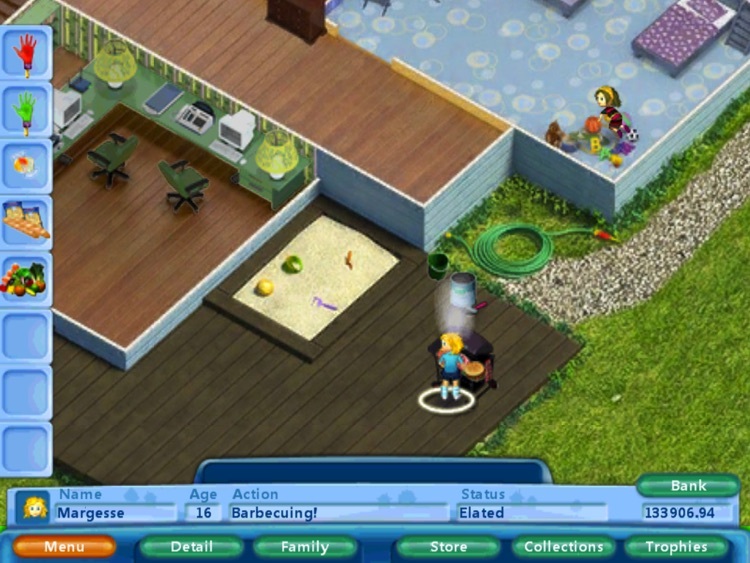 Recommended for people who enjoy Virtual Villagers, The Sims, and other life sims! 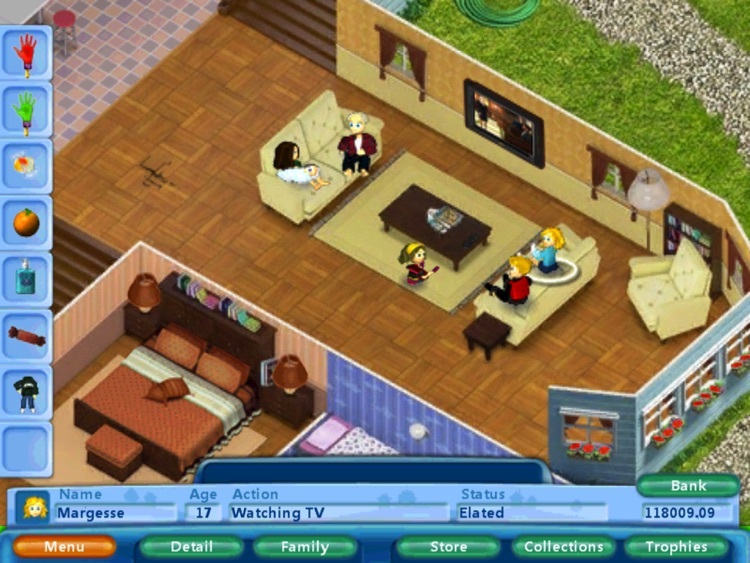 Visit our Official Virtual Families site at www.VirtualFamilies.com for instructions, strategy guides, and much more! Check out our other hit games: Virtual Villagers: The Lost Children, Virtual Villagers, Fish Tycoon! 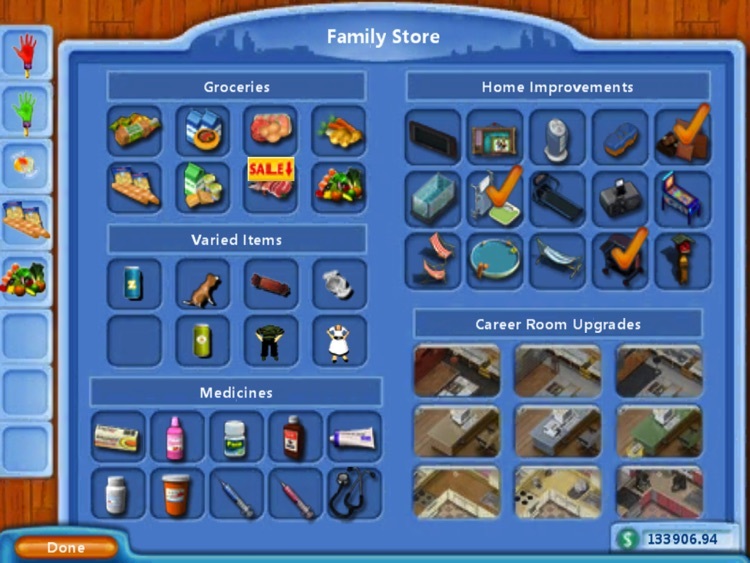 5/27/2010 Developer Note: This version of Virtual Families contains several fixes demanded by iTunes users, including savegame fixes, stability fixes, fixes for the lost TV remote, as well as fixes to makes sure the store inventory changes regularly. If you can't find the TV remote, tap the TV to move it to a more visible location. If the store is taking more than 4 hours to restock, tap the title at the top of the store screen. These fixes will be incorporated in an update to the iPhone version shortly.